For entirety of this week we're thrilled to be hosting legendary Cologne-based record label Kompakt at our Berlin headquarters. Watch out for features and photos we’ll be sharing throughout the week with figures from the label and beyond. 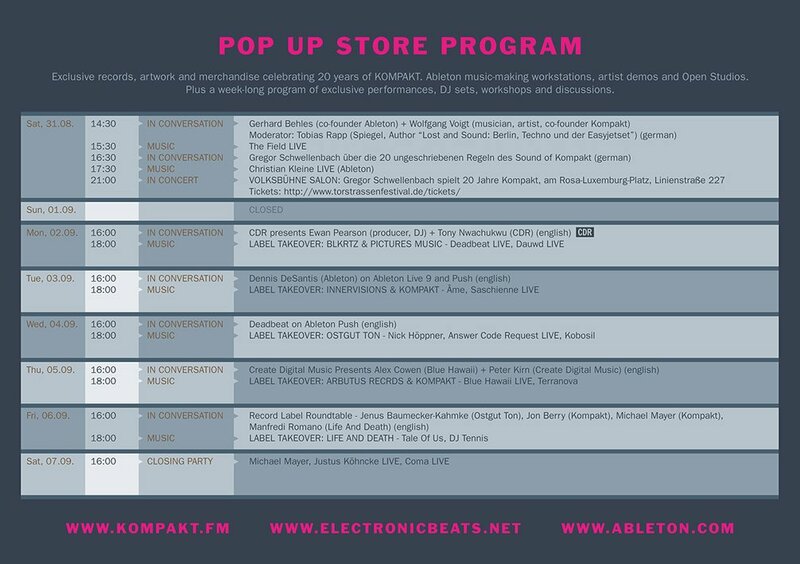 If you're a Berlin resident or happen to be passing through, then swing by to browse records and merchandise or get a VIP demo on Push and Live. 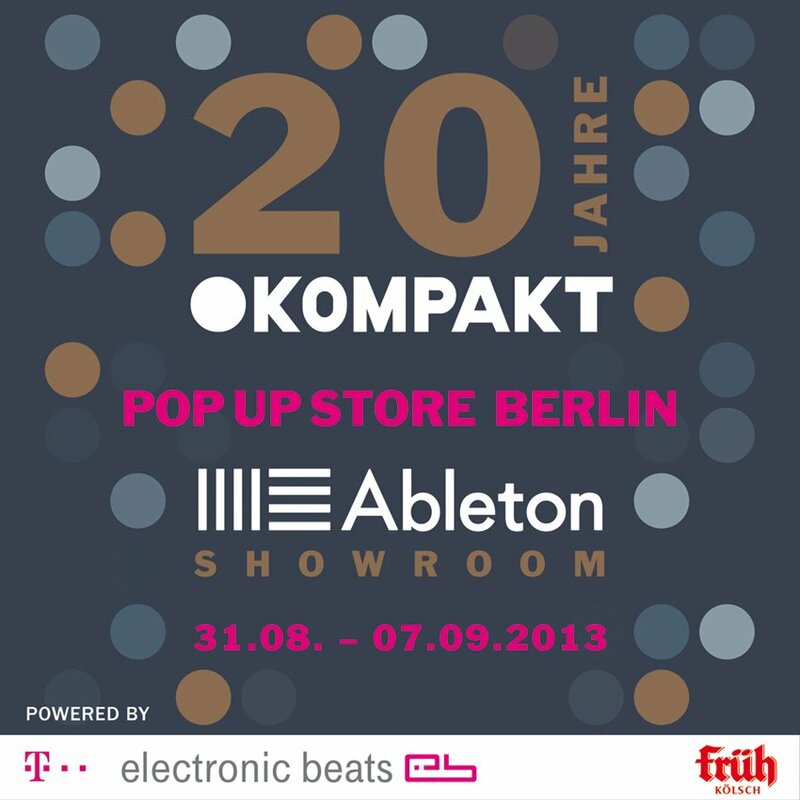 The Ableton office is located at Schönhauser Allee 6-7, Berlin, Germany, 10119. We’re in the Mitte neighborhood, closest to the U2 stop at Rosa Luxemburg Platz. Coming in from Schönhauser Allee, enter the courtyard between White Trash Fast Food and Marrakesch - there will be signs pointing to the Ableton entrance.